The lead McIlvainea article in 2012 featured a call for Working Towards a North American Mycoflora. In 2013 we move forward with creating a North American mycoflora by encouraging individual mycological endeavors throughout North America. To that end, at the 2012 NAMA National Meeting in Mission Springs, California, Else Vellinga gave a plenary lecture on the importance of the North American Mycoflora project and has written the lead article for this issue The North American Mycoflora project: without a sequenced specimen, it is a rumor that encourages all of us to get involved in documenting the mycoflora of North America. In it she provides ideas to help us all in accessing mycological information. The 2012 NAMA National Meeting in Mission Springs also included a workshop on vouchering which is summarized here in the article Making Scientific Vouchers of North American Macrofungi: How Documenting the Fungi You Encounter Contributes to the Mycoflora of North America by Barbara M. Thiers, Nathan Wilson, and Roy E. Halling. We hope that many readers will be inspired by these two articles to initiate projects to document the fungal species in their home regions and report their results here. 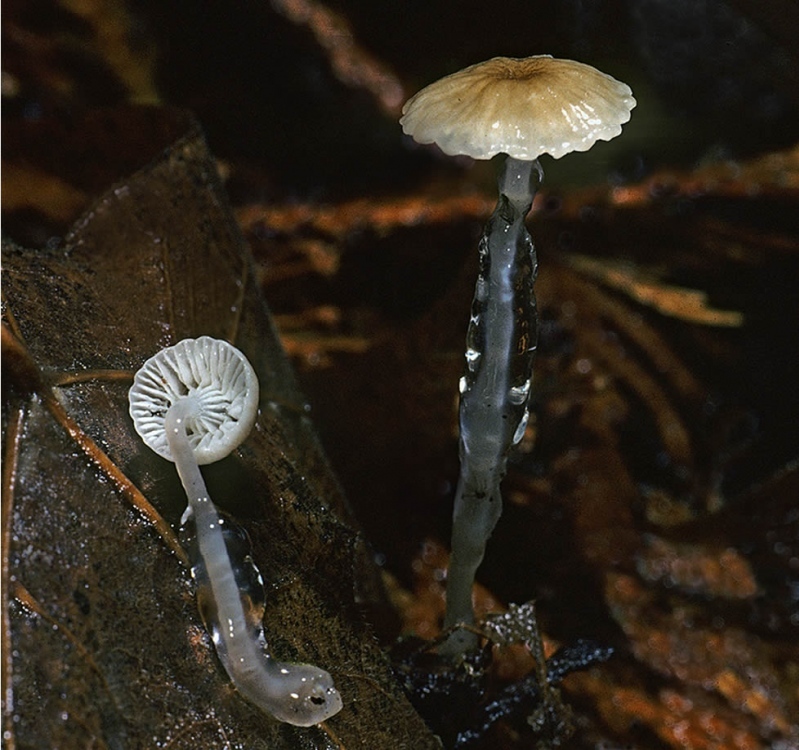 Cover Image: Roridomyces roridus (Fries) Rexer (Synonym Mycena rorida (Fries) Quélet) found and photographed by Michael Beug in Big Basin Redwoods State Park at the 2012 Mission Springs NAMA Foray.